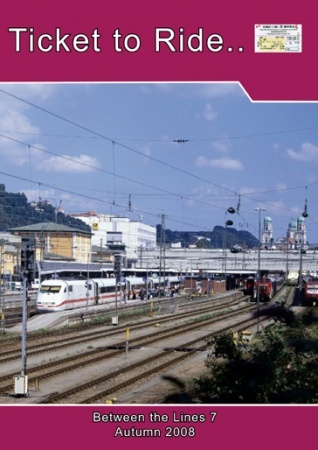 We visit Kledering Vbf and see how trains are dispatched to the Westbahn, Austria's industrial heartland at Linz and pause at Wels the junction station for the line to Germany. 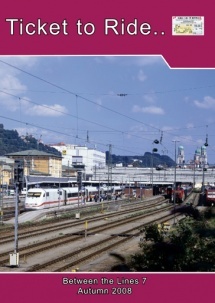 Watch trains at Passau and conclude at the Danube port city of Regensburg. Next we head north into the former DDR to the lovely city of Dresden. Redebeul Ost is the start station for a delightful Ex DR narrow-gauge line, the 750 millimetre Lossnitzbahn sometimes called the Lossnitz Valley Railway or locally the Lossnitz Dachshund. Spend some time at steam festival at Dordrecht in the Netherlands. Highlight of the show were two steam locomotives: an ex DB Pacific 01 10 75 ? built as 012 075-8 by the Berlin Maschinebau Schwartzkopf in 1940. The other locomotive in the pair of exhibits was 65 081. She is one of 18 sisters built for DB between 1952 and 1956 by Kraus Maffei in Munich. The powerful 2-8-4 was taken out of service in 1972 and is the only operational member of her class. Visit Eurospoor 2007 to look at an HO Belgian layout from Modelspoorgroep Zevenbergen. We interlace the delightful model with some prototype shots around Lier and Vise- the Montzen line and make some comparisons with the new Betuweroute in the Netherlands.